The iPad is one of the best things that have ever happened to online slot fans because of its high-quality display and the user-friendly touchscreen. iPad users can now play online slots of their choice. Famous casino software developers have taken advantage of these devices to develop slots for iPad lovers. Here is our list of the top 15 online slots that you can play on your iPad. Avalon Slot – This Microgaming slot takes you through an adventurous journey as you search for the Lady of the Lake. You only need 3 Lady Symbols to win 12 free spins and a 7x multiplier. Multiply your winnings with the Treasure Chest and the Avalon Caste. Tomb Raider – Play this beautiful slot and meet the courageous Laura Croft trying to acquire some treasures. Mega Moolah – This slot gives you a chance to win several progressive jackpots regardless of the size of your bet. Gonzo’s Quest – Gonzo’s Quest is a stunning NetEnt slot. It features beautiful symbols, the Avalanche, and the Free Fall feature. Twin Spin – This is one of the most enjoyable 5-reel slots by NetEnt. It is a modern slot with traditional symbols such as Cherries, Bells, and Bars. When playing the game, adjacent reels can turn into twins and increase your winning chances. 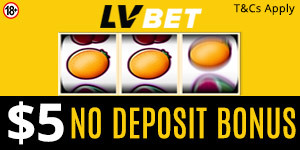 Vegas – Play this Las Vegas-themed slot by Betsoft and see what Mr. Vegas and the beautiful girls have to offer. Mega Fortune – Mega Fortune is a progressive jackpot slot by NetEnt. It depicts the life of a millionaire with fancy yachts, jewels, expensive limousines, and cigars. Get the Bonus Wheel to win the Mega Jackpot. Jack and the Beanstalk –This is a fairytale-themed NetEnt slot with amazing graphics, Free Spins, Walking Wilds, and Treasure Collection bonuses. Starburst Slot – NetEnt’s Starburst slot gives you an opportunity to win big prizes every time you spin the reels. The Starburst symbol (Wild) expands across the reels to activate a re-spin. Thunderstruck 2 – Most players have played this Microgaming slot. It features captivating music and stunning graphics. Play it and meet Norse Gods like Odin and Thor. Game of Thrones – This Microgaming slot welcomes you to various Houses (Stark, Lannister, Baratheon, and Targaryen) with free spins. Three Iron Throne (scatter) symbols will also trigger free spins. Good Girl Bad Girl – Betsoft’s progressive game presents an incredible heaven-hell experience. Select one of the choices (red heart vs. blue heart, good vs. bad mode, Halo vs. Pitchfork, and mixed mode) to win prizes. Foxin’ Wins Again – NextGen Gaming’s slot features an extremely wealthy fox hosting a party. Its impressive features include random bonuses, free spins, and huge prizes. Energoonz Slot – Energoonz is a 5 by 5 slot by Play’n GO. It features cute little aliens, Wilds, and a multiplier to increase your winnings. Gemix Slot – This is a 7 by 7 slot by Play’n GO. With its colorful gems, it will take you to different worlds including the Forest World, the Candy World, and the Magic World. You can also win the World bonus. If you haven’t played these iPad slots, perhaps you should try them now. Let us know your thoughts once you try them.